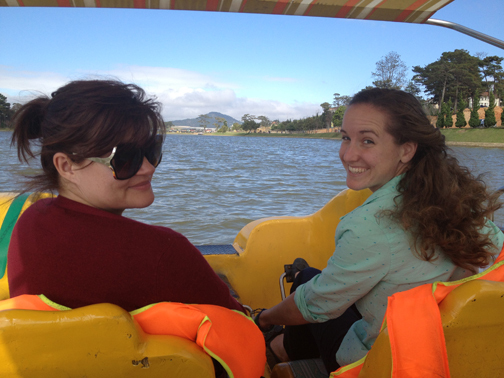 For the Christmas holiday break, three colleagues and I ventured off to the amazing land of Vietnam. I had heard it was a beautiful country both in it’s land and it’s people, but it was so much more than I expected. 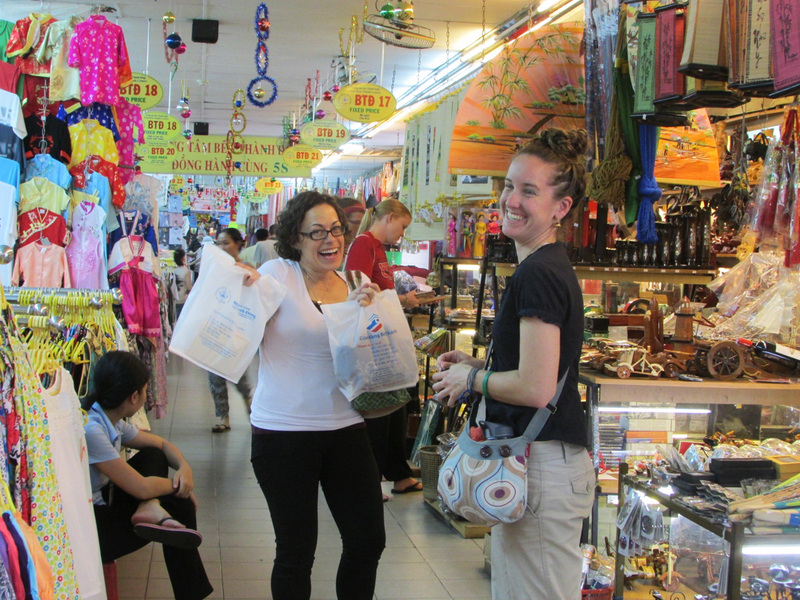 We flew into Ho Chi Min City, what used to be called Saigon. We had planned on flying up to Hanoi the next day and spending a good week trekking around the mountains before working our way back down the country. But in-country flights were triple the cost of what we had been told, so we decided to do it all in reverse. 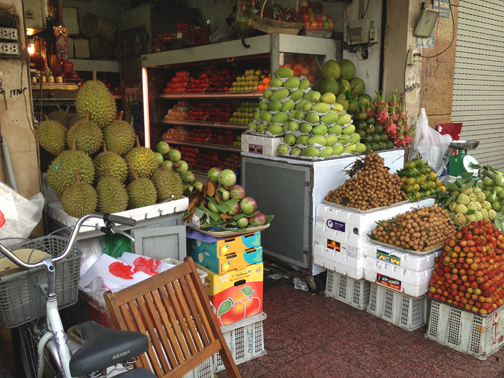 The big, spiny fruit on the left is Durian – nasty smelling, but delicious. Other fruits: Mangoes, jack fruit, rambutons, lychee, dragon fruit, avocados, and some I can’t remember. From my samplings – all really delicious. 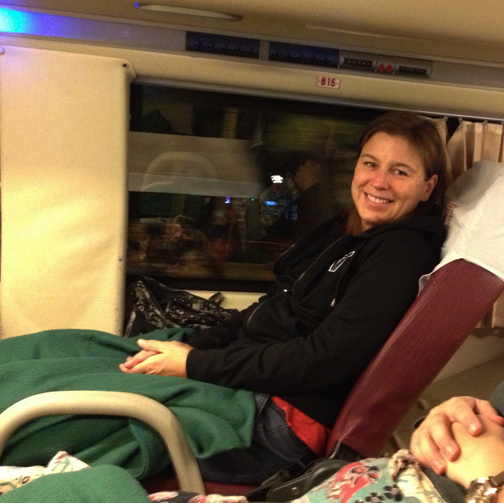 Before we took the sleeper bus to Dalat that night, we headed over to the Vietnam war museum (The American Conflict). It was so completely devastating that it was really hard to make it through all the rooms. Americans (my people) did such atrocious things to these people that I was continually shocked at how much they smiled and embraced me when they found out I was from the US. I still get chills thinking of the atrocities committed in the name of annihilating communism, as if we were the angels, the saviors. Sickens me. 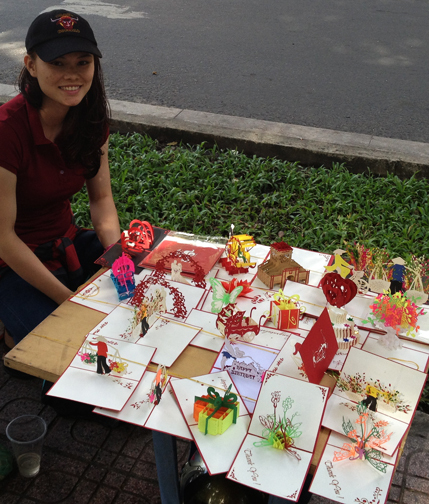 We then walked about the really beautiful city of Saigon and along the tree-lined streets we found our first pop-up card vendor – they were everywhere in the country – so intricate and extraordinary. 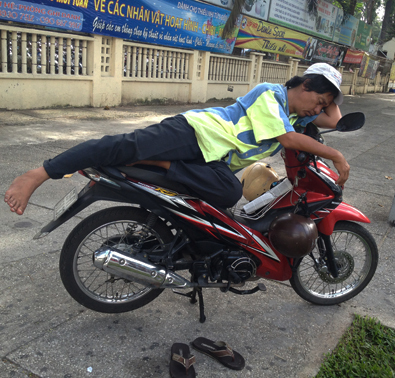 Taking a nap… Don’t try this at home! That morning I had received an email from the University of Oregon’s graduate program in Geography Education that I was officially admitted into the program. Thrilled – we celebrated that evening at this fun restaurant called the Beer Club with fabulous food and pomello and beer drinks. From right to left: Rialda (from South Africa), Me, Jennifer (New Mexico), Theresa (Oregon!). 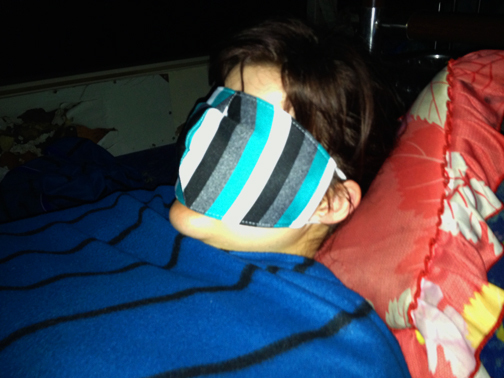 Later that night we dawned our face masks (we called them Hannibals) and took our first sleeper bus (10 hours on semi-flat seats with provided blankets) to Dalat up in the mountains. 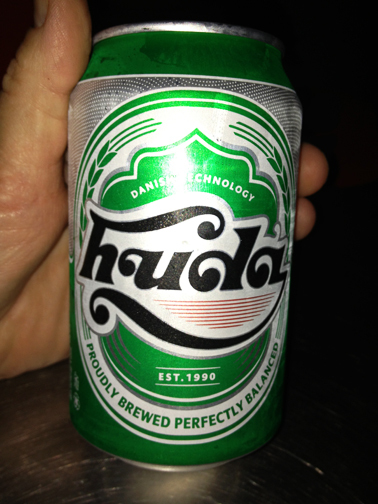 The local version of Heineken – midnight dinner stop. 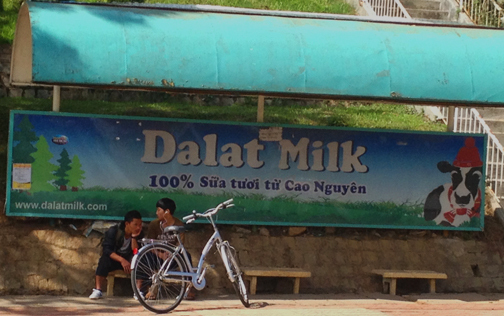 I do not have enough pictures of Dalat. 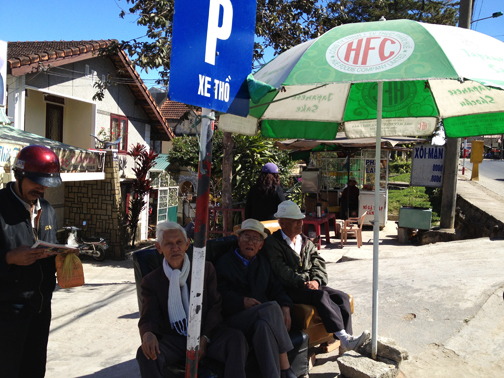 But these fine gentlemen were hanging out waiting for the bus on sofas. The whole city was really hilly, so you were always reaching another crest to yet another beautiful view. The city was calm and sunny. But chilly – we were now at about 5000 ft. elevation. That first morning we found this little restaurant up on a hill (a hill on a hill) and sat down to relax in the sun, eat slowly, drink good Vietnam coffee and write letters to family and friends. When they served us our coffee it tasted so delicious that we asked what made it so special. Although we never got our point across we all collectively agreed that they had added Bailey’s Irish Creme – we were already mellow – and now we were in heaven. 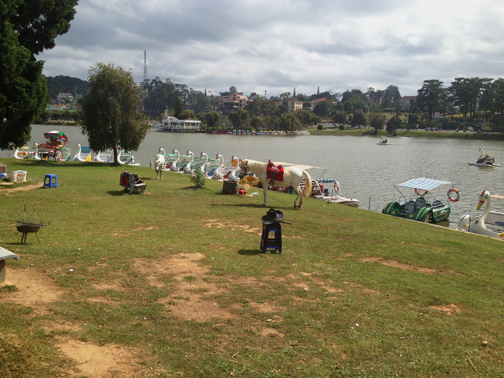 I will leave you here, high up in the stunning mountains in Dalat, Vietnam. Part Two coming soon. 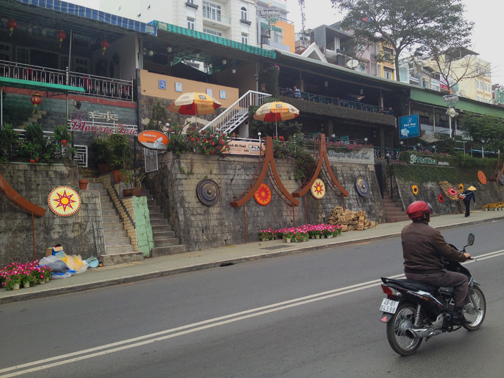 I have heard that Vietnam is beautiful–your words and pictures prove it. So good to know you are well and got into the U of O program! You are awesome! It is a country I definitely need to go back to – really beautiful and I didn’t have enough time in a few locations.